One of the things that seems to really draw people into fantasy RPGs and The Elder Scrolls specifically is the character creator. While I generally abuse the randomize button, there are many people who will devote far too much time into their character so as to ensure that the left cheek bone is just right. For those people, the trailer that Bethesda just put out for The Elder Scrolls Online is just for them. In the video, they talk about how in addition to customizing the face, you’ll also be able to mess with the body as well, down to the size of your hips and the tattoo on your back. For me, it seemed pretty impressive. It didn’t seem as deep in the face department as it was in, say, Skyrim, but it seems as if the slight change in art style will make up for it, creating much more varied characters. 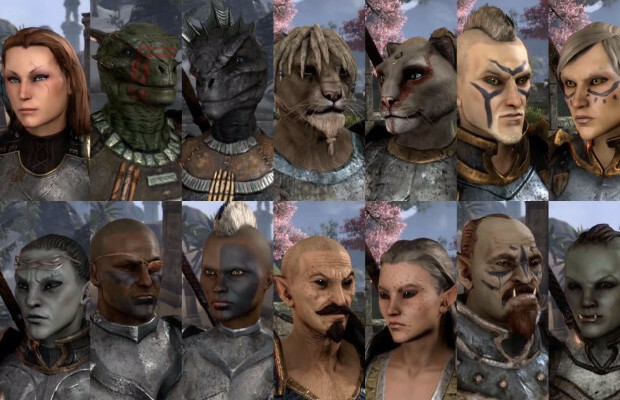 There’s also a bit where you can see all the various races and how varied they can get. Of particular note are Argonians, who seem to have adopted a change in bone structure, for the better. They no longer all look the same, which is good.